'tis just a small doodle I made to whet your appetite for my next work. Maybe. 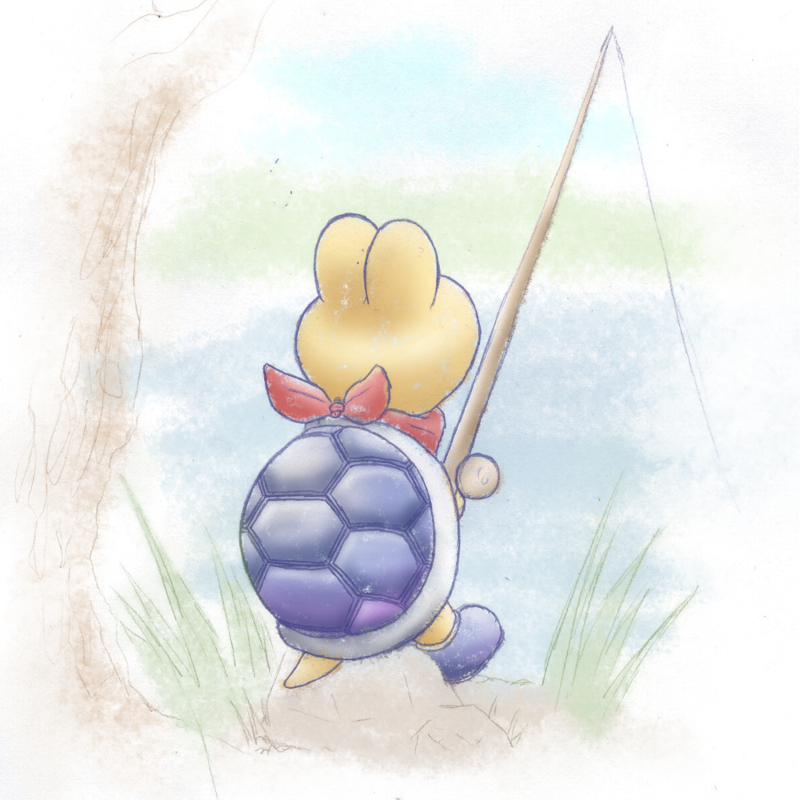 Also yes, apparently, I like drawing characters fishing, since it's my second work featuring a Mario character and a fishing rod – the other being Fishing Trip. Truth is, though, I had originally planned on having Kooper in that one, but I got LAZY, so I didn't keep him. I had thought of this one drawing before even Fishing Trip, and I have to say... it spanned out miraculously well. This is almost exactly the way I pictured the scene in my head, so... well, you get a sneak peek at my brainz. Lucky you. By the way, tell me – do you like drawings like this one – pencil & soft colours – better than my "usual" style? If people prefer this one, I've no objection using it more often, haha.